Cheryl Esposito welcomes Alan Cohen, author, speaker and teacher dedicated to helping you reveal your own deep well of wisdom, your genius. His work inspires us to consider “the life well-lived,” & offers ways to live it ourselves. He teaches how to extract lessons from the practical experiences of daily living, & find beauty in the seeming mundane. Alan tells us “You deserve far more than you have been settling for. Rather than hardship, you are heir to boundless love, forgiveness, prosperity, & healing.” When we are settling, our true nature – our integrity with self – is out of sync with our life. “You are in integrity when the life you are living on the outside matches who you are on the inside.” It takes practice: tuning in to how things feel; tuning into our body; understanding when things feel off – they are off, & so are we. Are you ready to be true to yourself & live your full integrity? 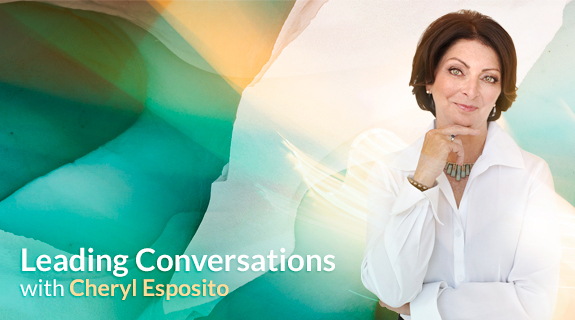 Join Cheryl Esposito & Alan Cohen & say yes to your wisdom & genius for a life well-lived.